Our last weeks series of posts on 3D Agent Based Models using 3D Max has been interesting (at least we have found it interesting). It is easy to set up any number of agents to swarm or wander within a set radius but adding behaviours beyond swarming is more difficult…. 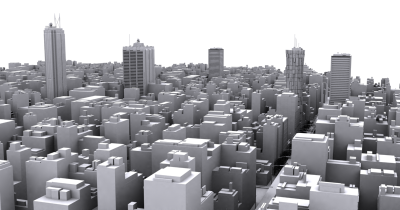 Our Greeble City Tutorial provides a walk through on how to quickly and easily create a cityscape, complete with custom skyscrapers. Creating a city is all well and good but it is the fine details that brings a 3D city to life, the first of these is the road network….